Excellent villa. Well maintained. Helpers were amazing. They helped us in every manner they could. The location of the villa is amazing. Beautiful pool -our three kids under 10 absolutely loved it and it was so easy for adults to relax while still keeping an eye on them. Lovely big space for us to share. Amazing hosts ready to help with any advice we needed to make our stay fantastic. 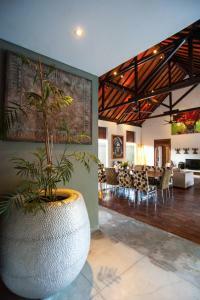 The Villa was spacious, great pool and pool area and the Ketut's were so helpful. Fabulous villa, fabulous location. Very comfy. Pool is great. Ketut, the villa attendant, was very professional and fabulous. He took care of all our needs. Would stay here again. Staff was amazing. Attended to every request. Even cooked us dinner one evening. Size or th villa was fantastic. Great for a big group. Kerri was helpful and friendly. The pool, the layout, the decor, the staff.. everything about this property was perfect! From the moment we arrived to the moment we left we had an excellent experience. Our housekeeper (Ketut) was extremely helpful and very kind. He prepared a delicious BBQ for all of us on new years eve which we all very much enjoyed. He helped to get metered taxis and gave us advice where we needed it. The villa is centrally located and near shops, tellers, restaurants and walking distance to the beach (15 min walk). We really enjoyed the open air living space in the villa with a huge dining table and sofa. All in all, we would definitely highly recommend this place! The villa attendant was accomodative and very polite. He was able to accept our request for an earlier breakfast. Great service by the villa attendant. 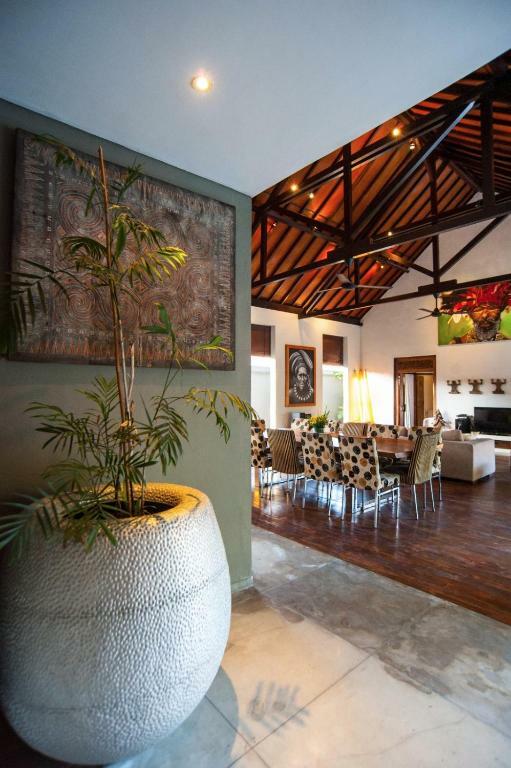 Lock in a great price for Seminyak Villa - rated 8.8 by recent guests. One of our top picks in Seminyak.Located in Seminyak, within 0.9 miles of The Seminyak Square Shopping Mall, Seminyak Villa offers accommodation with free WiFi, air conditioning and an outdoor swimming pool. This villa offers accommodation with a terrace. The villa is equipped with 4 bedrooms, a kitchen with an oven and a microwave, and 1 bathroom with a shower and free toiletries. A flat-screen TV and DVD player are available. 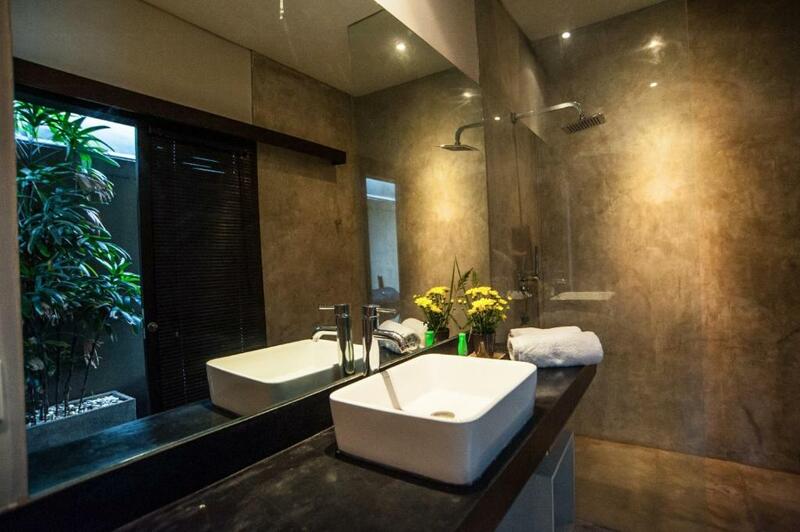 Ku De Ta is 1.1 miles from Seminyak Villa. Ngurah Rai International Airport is 6.2 miles away. Seminyak Villa has been welcoming Booking.com guests since 30 Oct 2015. When would you like to stay at Seminyak Villa? This villa has a cable TV, dining area and CD player. 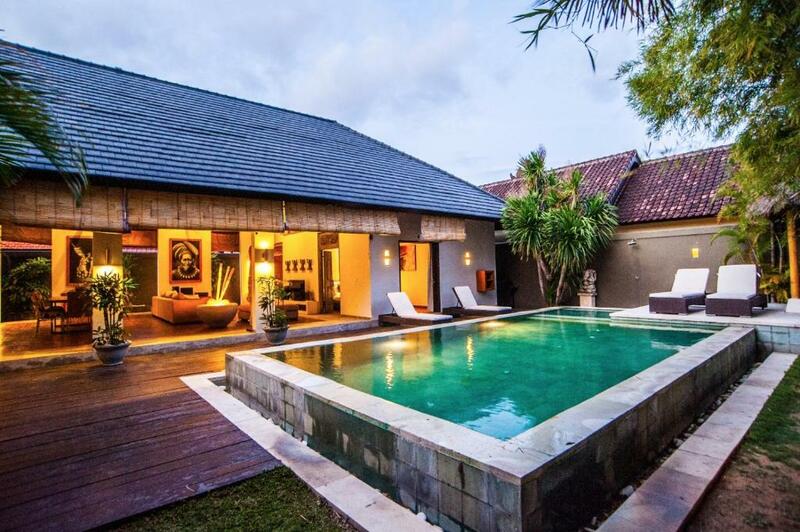 This fabulous exotic villa is a perfect hide away in the heart of Seminyak, located just in the heart of Seminyak but yet with the tranquility and relax atmosphere with quite surrounding. its just walking distance to the shopping and dining area of Seminyak and just minutes drive from Petitenget area, where the trendy spots as KU DE TA, Sarong, Potato Head , W, Hu'u, La Luciola and many more are located . 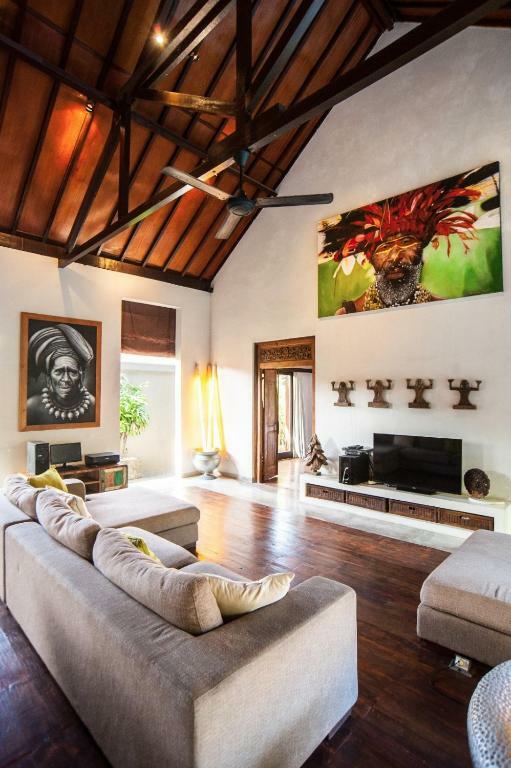 Facilities of this exotic villa are : - 4 bedrooms each complete with AC and own bathroom with toilets, rain shower , hot& cold water also own safety box. - spacious open living room area. -fully equipped kitchenette with fridge, stove, microwave, kettle and cooking utilities. 49 inch LED TV complete with cable TV and DVD player. - stereo system and ipod dock - WIFI. - bareque stove. - thached roof cabana - sundeck around the swimming pool. - towels and toiletries are provided. - daily cleaning service. - security service Additional servies : - daily breakfast of breads, egg, tropical fruits with fresh fruits juice. - free airport transfer for minimum stay of 3 nights. I love the nature, we have to respect our mother of earth. Still trying doing better for the enviroment. When you come to Bali please try to see Bali in her beauty inside, and I will be happy to help and explain you about the real beauty of Bali. 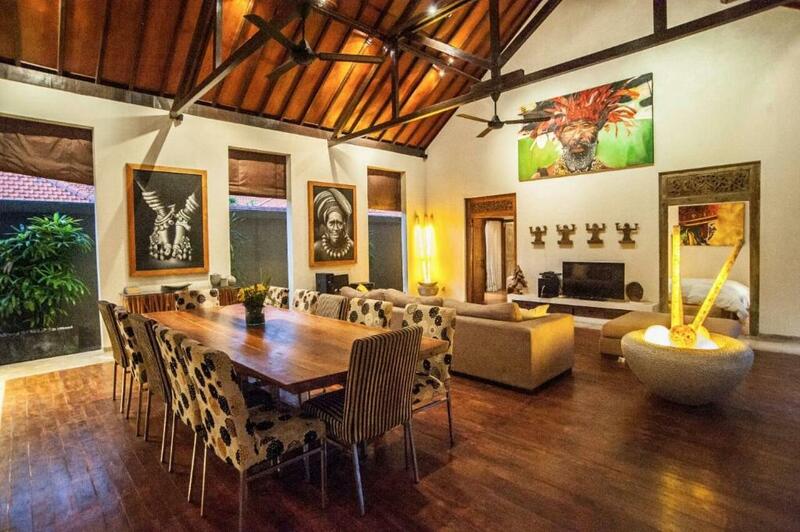 This fabulous exotic villa is hidden in private road but just in the main road of Jl. Mertanadi. so its safe, quite and peacefull area. No building construction around the area. House rules Seminyak Villa takes special requests - add in the next step! Seminyak Villa accepts these cards and reserves the right to temporarily hold an amount prior to arrival. Please inform Seminyak Villa in advance of your expected arrival time. You can use the Special Requests box when booking, or contact the property directly with the contact details provided in your confirmation. We visited in the month of January and it was tooo hot. The living / lounge area didn’t have air conditioning. Also a suggestion to the villa owner: a massage chair will be a great addition to the entire facility provided. EVERYTHING! The villa was so much nicer in person, the pics absolutely do not do justice to it. We were a group of 7 and we had more than ample space to move around. The pool is beautiful and the staff made us the best breakfast. It was in such a prime location of seminyak, all nice restaurants and clubs were at walking distance. My favorite part of the villa was the staff esp KETUK! He is a legend. He’ll get you anything you need and always made sure the villa was in impeccable condition. We didnt even know when he was taking care of everything but it would be done before we noticed! I would totally stay here again! LOVED IT! We arrived and the pool area was a little dirty but cleaned by the next morning. The flooring was rundown and some floorboards were lifting causing a tripping hazard. Was dirty in some parts, grass was dry, fire smoke from next door came in, leaves in pool, stayed in a number of villas in Bali and got better breakfast, location and facilities for same price. The butler service was only in morning for breakfast service- when we would return in the evening he was gone The towels were worn out and torn Poorly maintained property. Not much hot water . The rain shower in one of the common room is running quite slow even though it is on full blast. The housekeeper was accommodating. Although he stayed behind till later, he still came in early the next day. There is also a night guard at the villa so we do not have to worry about anything. if anything at all maybe the mosquitos but then again, they were everywhere around Bali.